In 2013 I painted The Resting Place, a project with Molly Rose Freeman for the Atlanta Beltline. The outdoor room we built was temporary and lived several lives after the BeltLine installation. Recently it was returned to me, but in sub-par condition. Today we threw out some of the old and salvaged what we could. I hope to begin to use what is left in new art projects – cut it up and paint over sections. Create something new with the old. I have some new plans for the salvageable sections. I know we all have some salvageable sections. Sometimes they just take a while to identify and preserve. 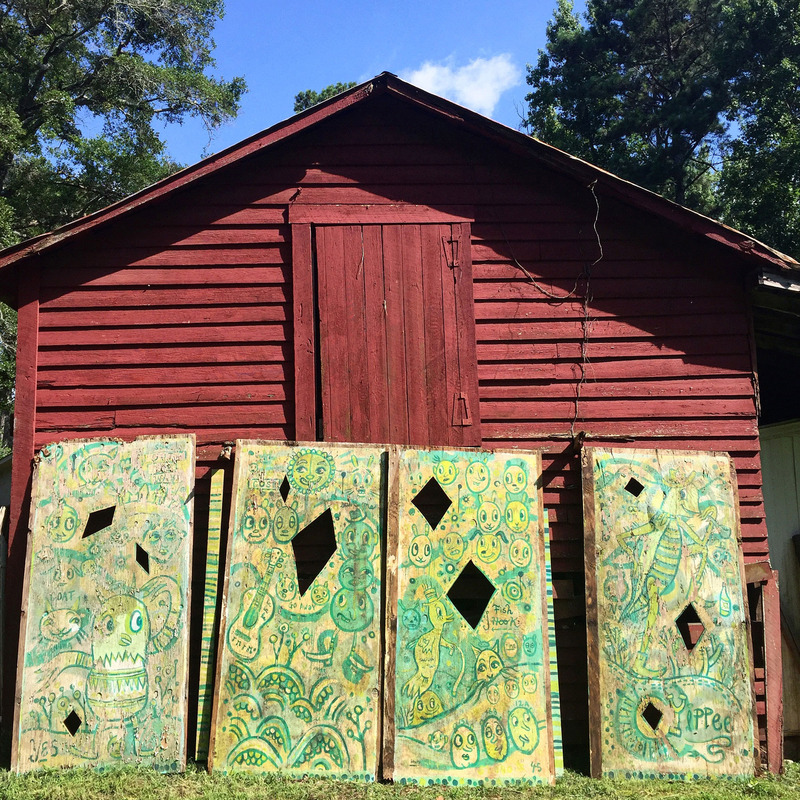 This entry was posted in art and tagged a resting place, atlanta, atlanta beltline, blackcattips, folk art, kyle brooks art, molly rose freeman. Bookmark the permalink.